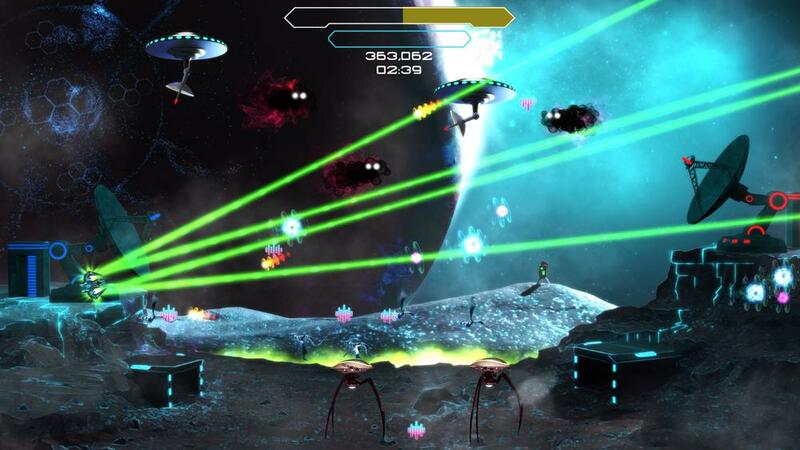 DubWars is a music game that combines the mechanics of a top-down shooter with the power of Dubstep and Electronic music. Your weapons are synced to the song creating times of intense weapon load outs and calm moments where your survival skills are tested. Each level is custom built to bring the creativity of each musician into an audio/visual experience. Weapon Upgrades - Every weapon in the game will be upgradable. Difficultly Modes - Play in Easy, Medium, Hard or Endless!